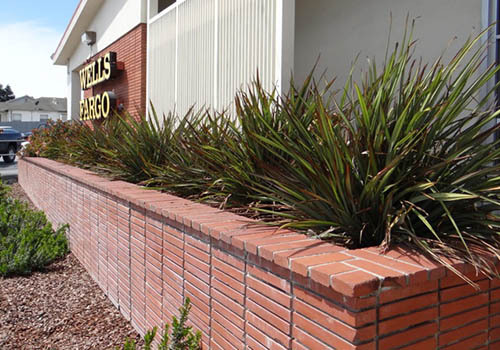 This week we received a call regarding a duck acting aggressively at a Wells Fargo near Watsonville, CA. 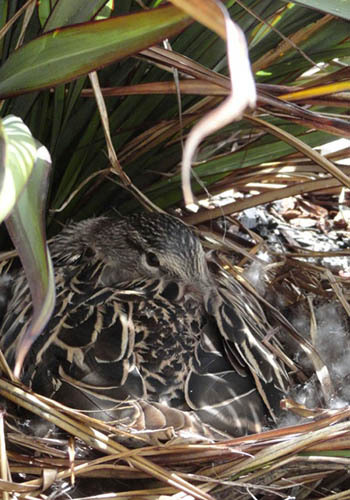 We went to check it out and, sure enough, a mallard hen was nesting in the planter at the entrance to the bank. 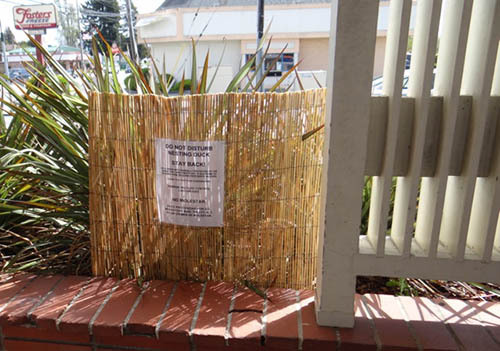 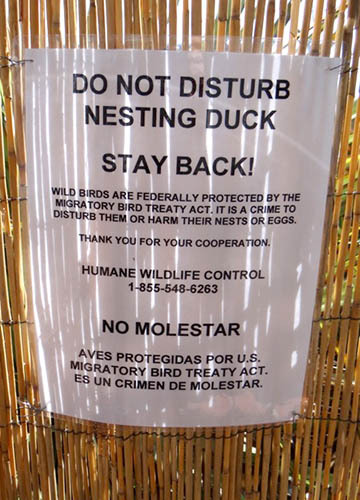 We advised the bank manager that we were not allowed to remove the duck or harm her nest, but we could place a blind to shield her from disturbances and help protect patrons.